Paul S. McNamara, DVM, Diplomate ACVS, is the founder of Odin’s Fund. In addition to fulfilling his duties as Chief of Surgery at Hudson Highlands Veterinary Medical Group in New York, Dr. McNamara is consulting veterinarian for the U.S. Department of Justice/ Bureau of Alcohol, Tobacco and Firearms and is a subject matter expert and instructor at the National Center for Security and Preparedness at SUNY Albany and the New York State Department of Homeland Security and Emergency Services. He has also served as an instructor for the State of New York Division of Criminal Justice Services Municipal Police Training Council. Currently Dr. McNamara is a tactical veterinarian and Special Deputy with New York’s Dutchess County Sheriff’s Office and previously served for several years as a Special Deputy/K9 handler with the Schenectady County Sheriff’s Office. Dr. McNamara was elected to the American College of Veterinary Surgeons in 1999, after serving his internship and residency in small animal surgery at Cornell University’s College of Veterinary Medicine. Dr. McNamara also received his Doctor of Veterinary Medicine from Cornell University’s College of Veterinary Medicine, after receiving his B.S. in Animal Science from Cornell’s College of Agriculture and Life Science. Volunteer activities have included serving on the CDC’s emergency working group on anthrax exposure for service canines; serving on the Board of Directors of the Danbury Animal Welfare Society; and chairing the Veterinary Science Technology Advisory Council at New York’s State University College of Technology at Delhi. In addition to serving as a contributing editor to Police K-9 Magazine, Dr. McNamra has published numerous articles for both academic and service dog publications. He has received awards from numerous federal, state and local agencies in recognition of his contributions to the field of working K9 safety, including from the U.S. Department of Homeland Security, the Bureau of Diplomatic Security – Office of Anti-Terrorism, the International Association of Bomb Technicians and Investigators, and the United States Police Canine Association. Dr. McNamara’s full CV is available here. Dr. McNamara’s ability to provide K-9 first aid training and to fulfill requests for Odin’s Fund first aid kits is constrained only by the demands of his profession, a considerable commitment. Lieutenant John Kerwick is the Tactical Commander of New York City’s Metropolitan Transportation Authority Police Canine Unit, the nation’s largest explosive detection canine unit. John is responsible for the day-to-day management, motivation and long-term operations of a 50-team K9 unit deployed throughout the New York City metropolitan area. He also works cooperatively with other federal, state and local agencies regarding terrorism and explosives-related issues. John also serves as President of the United States Police Canine Association (USPCA) and is a member of the National Explosives Detection Canine Advisory Board (NEDCAB). 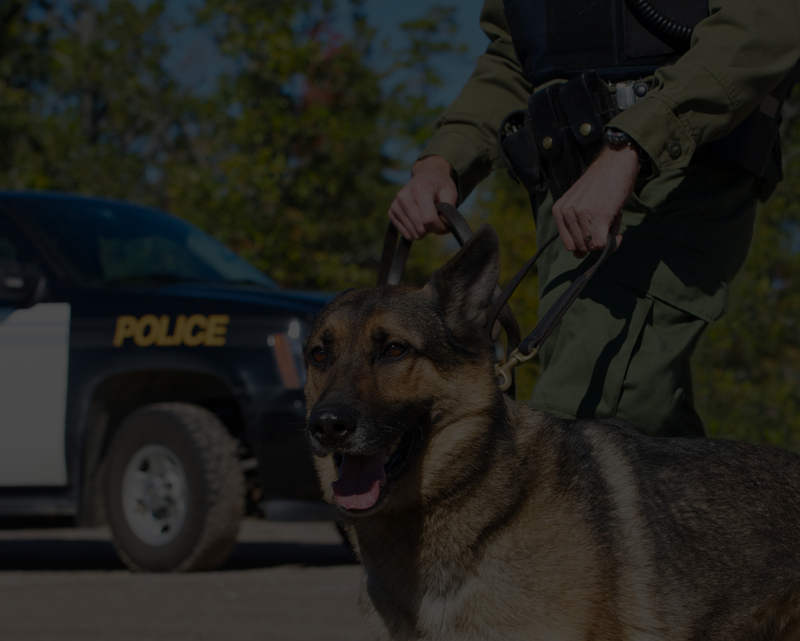 As President of the USPCA, John meets regularly with other local and federal K9 units, helping them train and certify their teams in such areas as patrol, narcotic detection, explosive detection and locating missing persons. Bill McKay has been a Deputy Sheriff with New York’s Dutchess County Sheriff’s Office since 2000 and a New York State certified K9 handler since 2004. He is currently working his second patrol/explosives detection K9. In 2008 Bill became a New York State certified trainer and in 2014 a New York State certified examiner for “Police Patrol, Tracking and Article Search/Scent Detection Canine Teams” as well as “Police Explosive Detection Canine Teams.” Since 2015 Bill has been an accredited K9 trainer with the North American Police Work Dog Association and now not only trains K9 teams in his region but helps train K9 teams across the nation. Meredith Govoni is a New York State Trooper and has been a canine handler since 2014. Meredith and her K9 partner Lexy, a German Shepherd, work together each day to protect the community and apprehend criminals. Meredith is a native of New York’s Hudson Valley area. She holds a B.S. from Plattsburgh State University in Health Science and a Masters in Public Administration from Marist College. Meredith’s graduate education specifically focused on quantitative and qualitative analysis, data-driven decision making, and the use of technology to enhance leadership of non-profit organizations. Meredith has volunteered for multiple community based organizations over the years and is honored to serve as a Director of ODIN’s Fund, where she can further promote the health and safety of all the courageous canines who put their lives on the line to protect those in need. In addition to Lexy, Meredith feels fortunate to count two other German Shepherd’s as companions at home. Adam Unger is an Assistant Director of Finance at Yale-New Haven Hospital, a nationally recognized, 1,541 bed not-for-profit hospital that is the primary teaching hospital for the Yale School of Medicine. Adam holds a B.S. in Business Management from Cornell University and a Masters of Business Management from Cornell’s Johnson Graduate School of Management. Adam has been a director of Odin’s Fund since the organization’s inception, and in fact assisted Dr. McNamara with incorporating and launching Odin’s Fund while serving as a Park Leadership Fellow at Cornell. Andrea Austin has been a longstanding volunteer for Odin’s Fund. To better understand working hazards for K9 teams and the dynamics of K9 working teams, she has spent many hours attending Dr. McNamara’s first aid courses, in addition to viewing training and events at the New York State Police K9 training facility in Cooperstown, New York. Andrea is currently a transaction lawyer in private practice in Denver, Colorado. She obtained a BA from Stanford University in Organizational Behavior, a Master’s in Government Administration from the University of Pennsylvania, and her J.D. from Marquette University. Andrea’s trusted companion is her chocolate Lab Sadie.